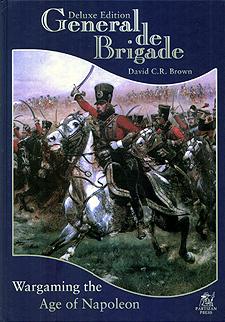 The club will be holding a Christmas Napoleonic tournament using the General de Brigade rules. The will take place on Saturday 29.12.2012. Meeting at 9am to set up tables, and first games to start at 9.30am. 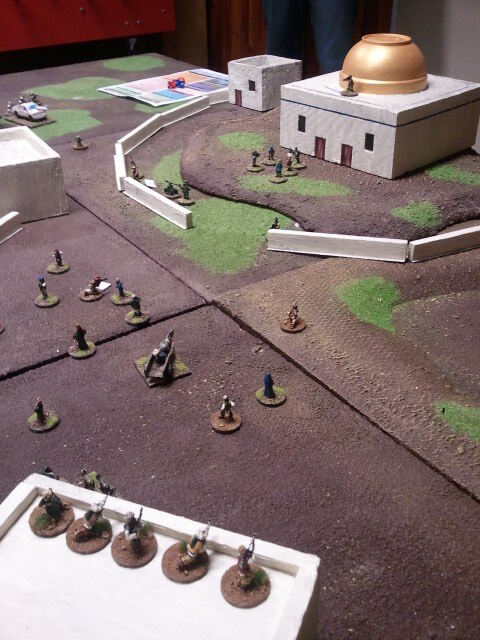 Participants will need a 1000 point army in 15mm to participate. Usually you can expect to play 3 or 4 games during the day, with the limit per game being 2 hours or 18 turns. 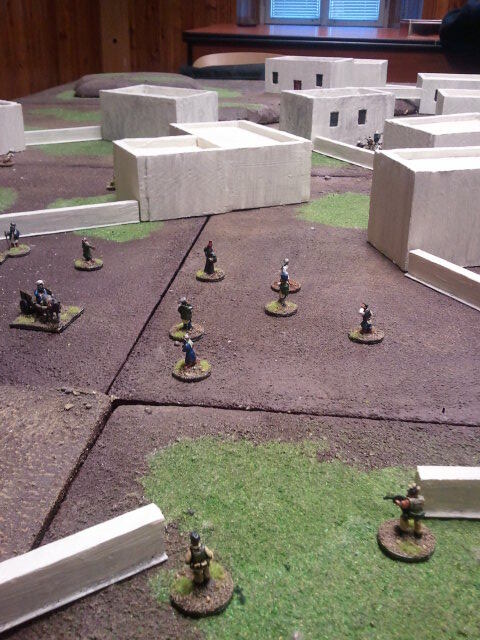 All games will be played on 180x120 cm tables. 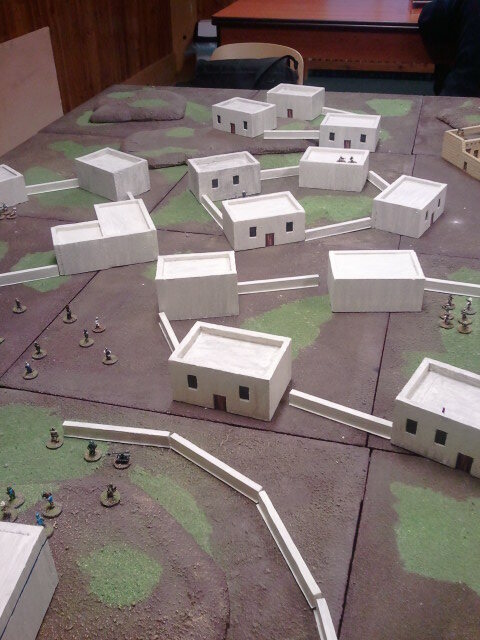 For participants without full or no armies, we will have some spare armies for use if required. chtel bych Vas vsechny pozvat pravidelny Vanocni turnaj v napoleonice. Hodnoceni: Turnaj vyhrava hrac s nejvetsim poctem nasbiranych bodu v odehranych hrach. Znicena nepratelska jednotka: 1 bod (do znicenych jednotek se pocitajii jednotky ktere maji status Retreat/Raut na konci posledniho kola hry). Pokud by nekdo nemel kompletni armadu tak se prosim ozvete, mam par armad na pujceni. Just a few shots of a recent game we had at the Prague Wargames Club, using the Force on Force rules. This is a copy of my blog post over at The Wilde Goose blog (http://vonbrowne.blogspot.cz/). 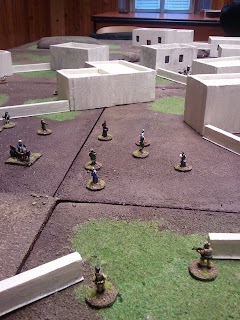 This was my first game with the rules, and I have to say they are really quite good. They were reasonably easy to pick up, and not much page turning was required once we were a few turns into the game. 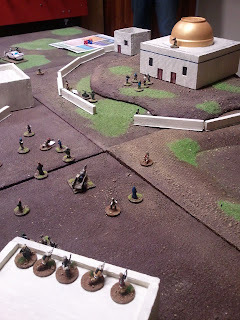 That said though, the excellent umpiring by our long standing club member Petr went along way towards smoothing the way on this one (he also provided all the figures and buildings for the game). 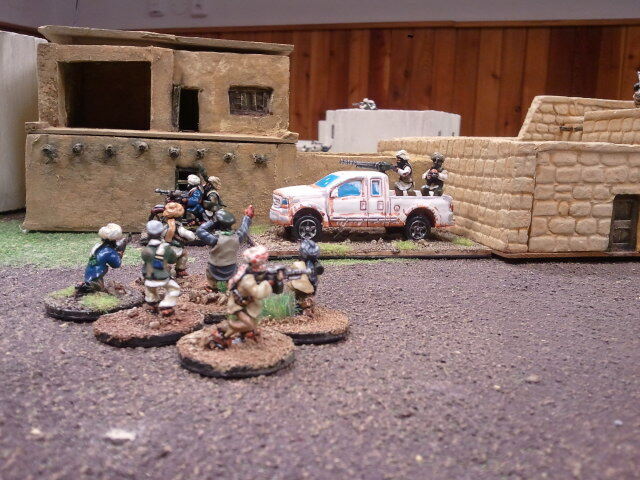 The scenario it self revolved around a team of intrepid TV reporters, a large band of local militia who were out to grab them as hostages etc., and a smaller, but better equipped group of "private contractors" and trained US forces attempting to prevent this (in which they succeeded), as well as to nab the local militia warlord (in which they failed). 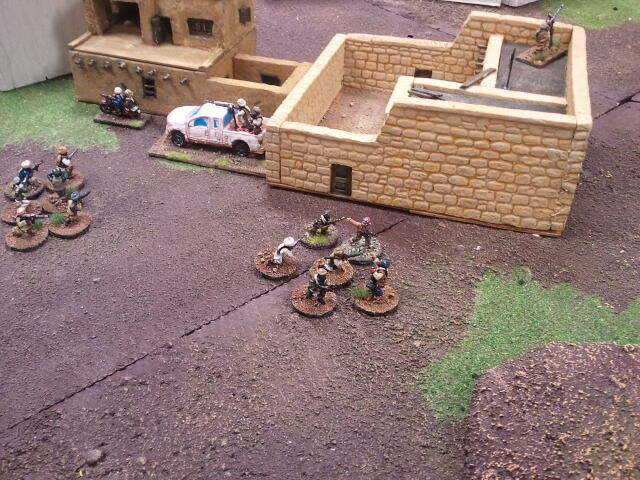 Afghan surge, and last stand by US "contractors" (TV crew are standing in front of the domed building). The outcome? 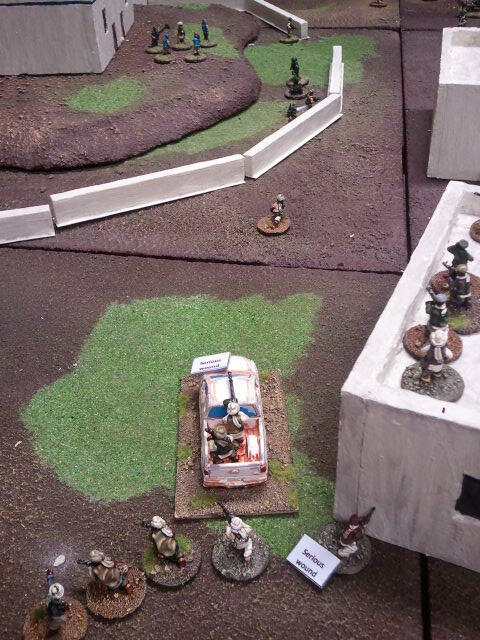 Well a really enjoyable game, with nice scenery, and loads of lovely lead. The local militia came close to success in a mass attack, and took down a few of the US troops, but then training and hardware started to kick in, with the Afghans taking very heavy casualties and their attack brought to a halt. 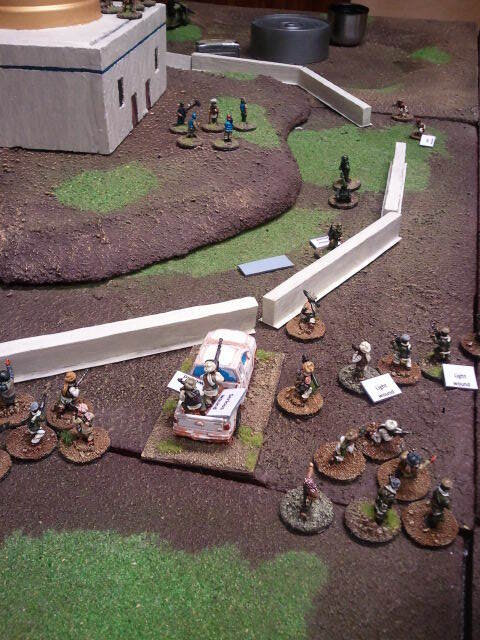 A ranger extraction team were called in late in the game to get the TV crew out (which reduced the US player's victory points). When added up the US side managed a narrow victory. Anyway, a great game, which seemed to me to be fast moving and intuitive. Hello All. I'd like to announce our club programme for November and December 2012. Program klubu na listopad a prosinec 2012. 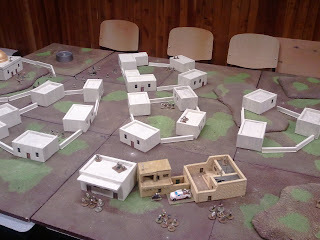 Just to announce, our next wargames day will at the club on 28.10.2012. There are at least two games planned: Modern skirmish 20mm, Force on Force and Flames of war 15mm. There may also be either a Sharp Practice skirmish game (28mm) or General de Brigade (15mm). Jsme skupina hráčů historických válečných her, kteří žijí v Praze a jejím okolí. Uvítáme mezi sebou všechny, kteří by si s námi chtěli zahrát – mladé, starší, zkušené i začátečníky. Nejvíce hrajeme historické válečné hry, ale hrajeme také deskové hry. Hrajeme hry umístěné do všech období, od starověku až po druhou světovou válku. Ale můžeme zkusit i jiné. Máme výběr pravidel a figurek z různych období, takže pokud máte zájem přijdte, budete vítáni a pokud nemáte vlastní figurky, nevadí, naše jsou ke hře k dispozici! Těšíme se na vás. Hello, and welcome all to a new blog that will follow the activities of the Prague Wargames Club, advertise our events, and of course publish photos of all our lovely painted toys; that's right, grown men playing with painted soldiers. We have a nice venue in Prague where we meet two Sundays in every month, between 14.00-18.00. 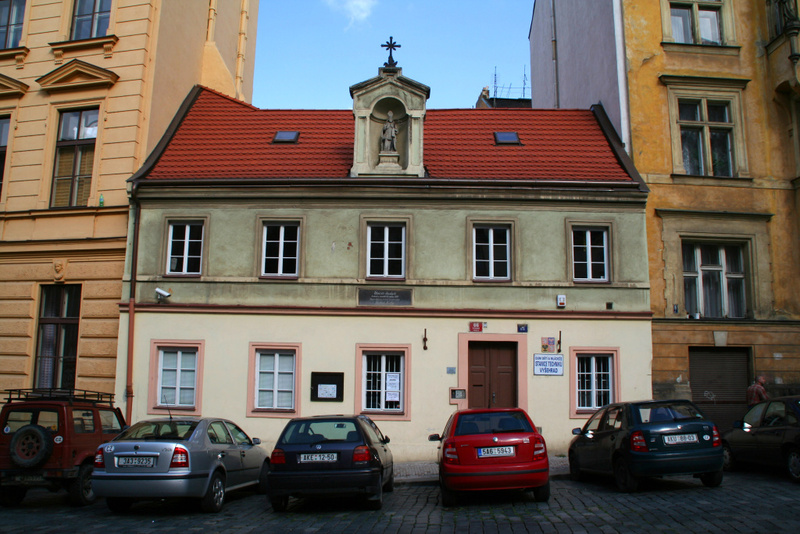 The address is: Dum Deti a Mladeze, Vratislavova 15, Prague 2. All newcomers are very welcome to join us there. We also have a forum over at Yahoo Groups where you can get in contact with us.